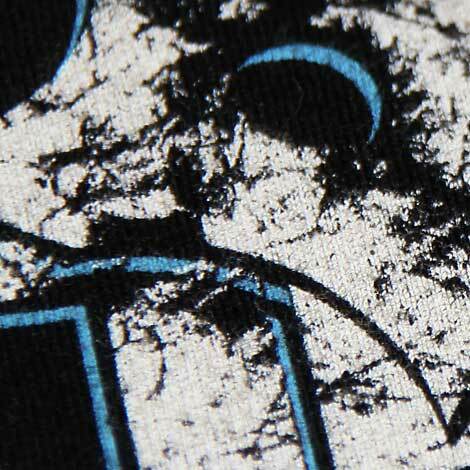 Water Base and Discharge print is a “green,” earth-friendly, heat activated, water-based process. 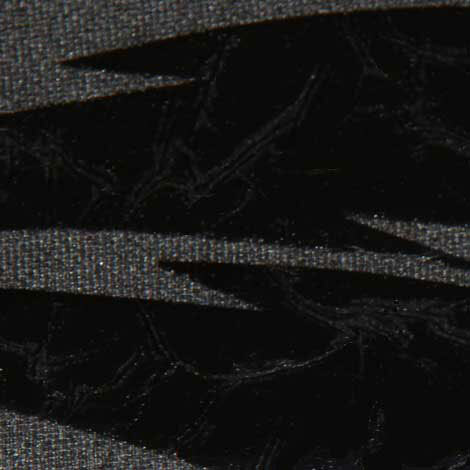 The water in water-based ink is used as a delivery agent for the dye, which together soaks into the fibers before the heat causes the water to evaporate, leaving the dye permanently in place. Think of color fusion as a fashionable and intentional bleaching process which leads to the fabric having a soft-handed result. 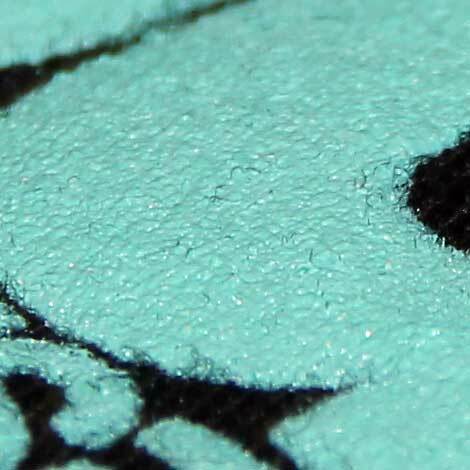 Plastisol is plastic – PVC (polyvinyl chloride), to be exact. But don’t be imagining your plumbing pipes right now; tiny PVC particles are mixed with a plasticizer that keeps the PVC from turning into your pipes and keeps it fluid and flexible. Once applied to the shirt, high heat activates and cures the design, settling mostly on top of the shirt versus the water-based inks that permeate and dye the fibers. Does your design need a little flair? 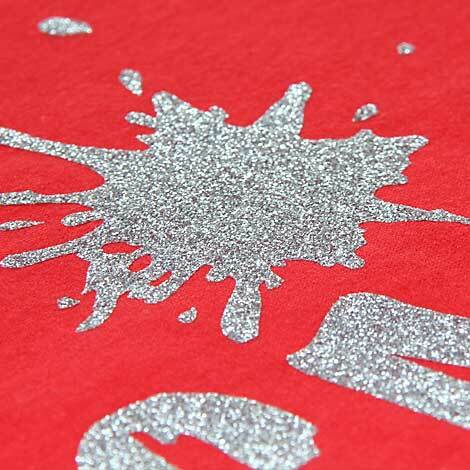 Splash it up with a specialty ink, like glitter to make your design sparkle or puff it up to add some texture. We can top it off with some foil to make it shimmer or use glow-in-the-dark ink so the design illuminates in the dark. Check out our neon ink so your design stands out in the club under a black light or maybe combine an option above with our scented ink so you will smell sweet through any event. Foil is a phenomenal way to accent any artwork; it has a shiny or matte metallic look, what else is there to say. Remember as kids pulling out the glue sticks and using tin foil or glitter on a project to make it stand out. The concept is the same with foil printing on fabric; an adhesive is applied and then pressed with a foil color of your choice and Walla, the adult version of kid art. A traditional way to customize apparel? Not quite. Thousands of thread colors, infinite possibilities. No stitches + no ink = no worries + no problems. Have one of our friendly Customer Solutions Specialists begin preparing a personalized quote for you!